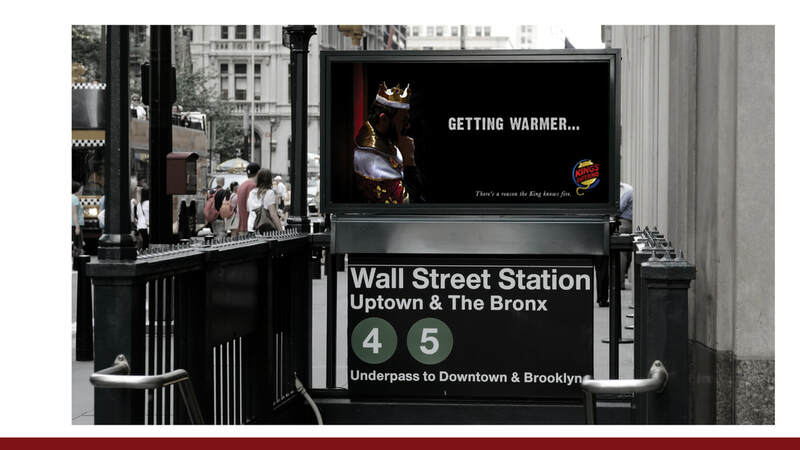 Fire is the secret to Burger King’s unbeatable flavor. 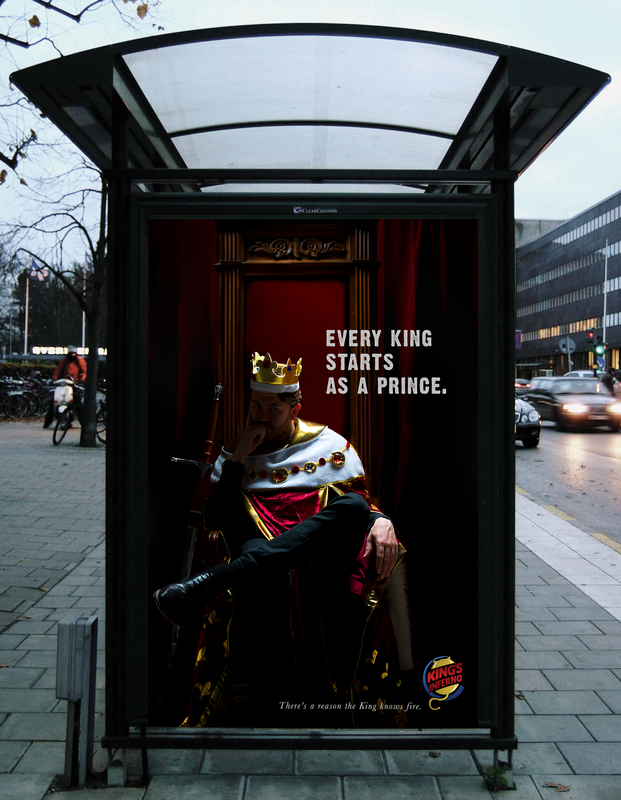 It’s also the secret to the King’s mysterious past. 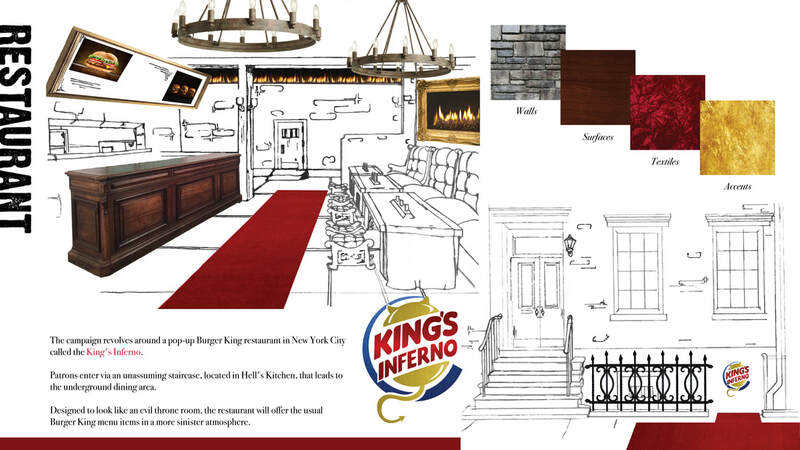 ​The King’s Inferno is a pop-up restaurant in New York City that reveals an untold chapter of his story. 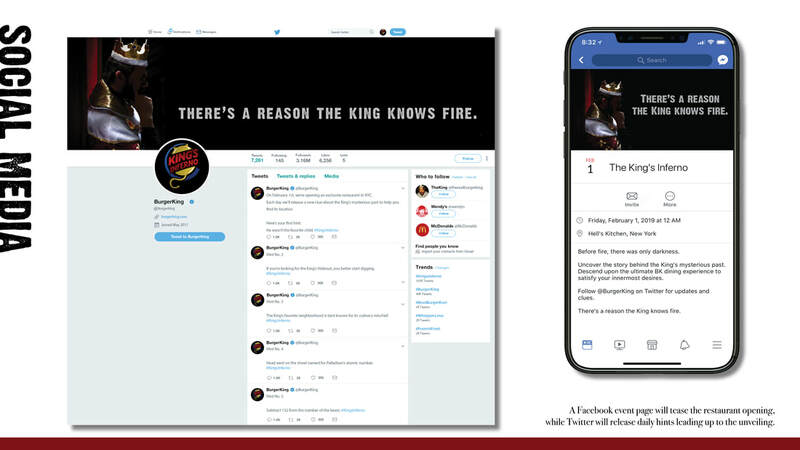 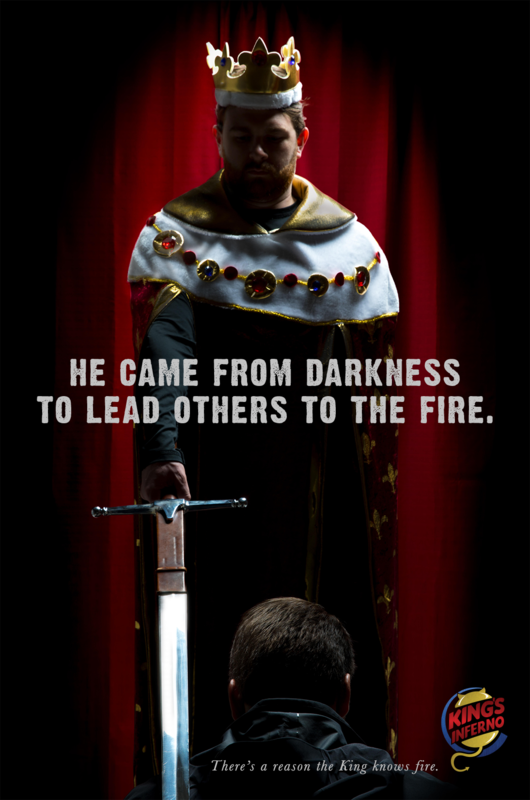 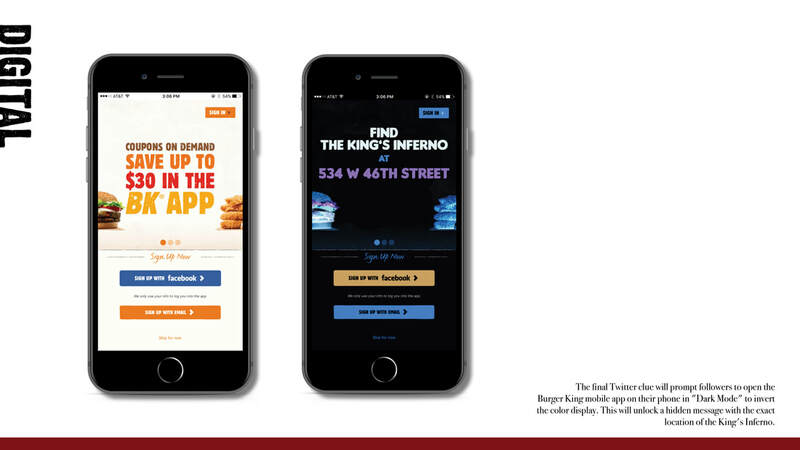 Using primarily digital and outdoor platforms, we’ll draw in hungry customers to uncover the fact that no one knows fire better than the Devil—er, the King—himself. 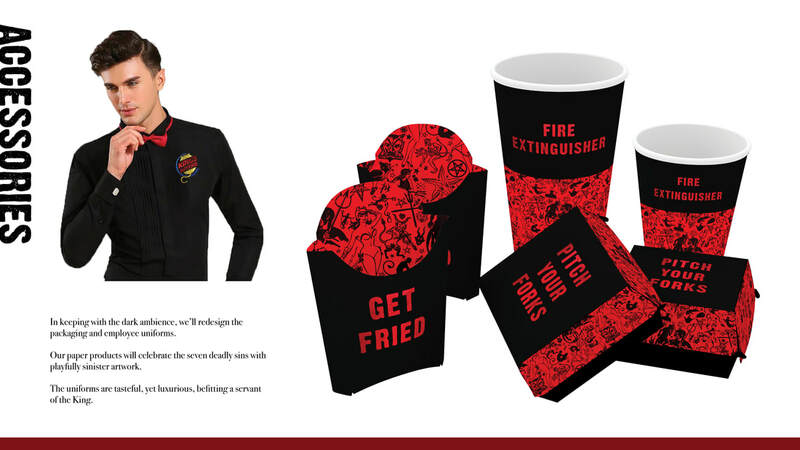 Note: this project was in response to the 2018 D&AD New Bloods brief.